I, I sincerely, maybe not always, sometimes, I can't put two and two, or even ten to ten together on why we Hindus are still blindly following or holding on to our religious beliefs, bench-marked and set by our forefathers, our foremothers too were no better (more at Mozer's Subang Parade). As much as I have tried, I for once can’t understand neither comprehend why we are not applying logic and reasoning to those beliefs. Look, in no way am I questioning Hinduism. Better for me to make myself clear before I am attacked by Gang 45 or whichever latest reigning gang. Lets take the recent Sun Eclipse as an example. Many of us can, I reckon, scientifically or technically pin the reasons, but when it comes to reasoning on our staunch Sun Eclipse Hinduism beliefs, all we are good at is forwarding videos by our religious maha gurus. Aplenty of gurus these days mind you. The known, the upcoming and the ones trying to make a name, who keep reminding us why we shouldn’t pray, why we shouldn’t eat and what else we shouldn’t do during the hours of eclipse. But we Hindus ourselves don't have any idea on the significance of eclipse on our religion. If you are asking me, shall we right now reflect back how it would have literally been those days without lights or electricity? Let alone ellipse being totality of darkness, albeit I agree, I must agree darkness is evil. Satan, witchcraft, mirror-mirror on the wall and what not associated as the evil forces without you and me. Still, to put it all in all together, the logic is none except we can't see in darkness. None of us obviously can't see when its pitch dark. Unless you want to go ahead and argue you actually can see in darkness? Then you must be the evil yourself or you still don't get my viewpoint. Anyway, whether you agree with me or not, you know what? I have already given up on the blind leading the blind Hindus who won't only confuse themselves, they will mind you, in return, make it a point in confusing us on their superstitious beliefs. Listen please everyone. I eat during the sun eclipse, I even lighted up my altar and I am still perfectly fine. Insomnia of course has always been my ball game, or maybe eclipse will take its revenge on me sooner or later, I really can't confirmed. Yet, one thing is absolutely certain. Conclusively, I shouldn't waste my time trying to put sense into other Hindus. Let them be, whereas I on the other hand am continuing with being a logical and practical Hindu by not overdoing it with my religion. As it is, I don't go around preaching my religion, neither you will see me in temples all dolled up, nor I am not the holiest grain on earth. But, yes, you must can count me in as a staunch Hindu. So, you must be wondering now what I am trying to prove by sharing this pitching on fulfilling my vows for Thaipusam? Basically, to share with all you that religion to me is not as complicated as said or as perceived as per say. Of course the choice is yours. You are not convinced, by all means, you really don't have to read. After all, Hinduism is the way of life and not forcefully forcing it on any of you for the matter. My vow this year was to return to Penang (Penang Thaipusam). However, due to my health, I've been not well for almost one and a half months, maybe its a test on my religious strength, I really don't know, yet I knew that Lord Murugan in Penang is not going to be angry with me. He, by the way is everywhere, including in my altar, of course for some Hindus, he is only in India (more at Pulau Ketam Selangor). 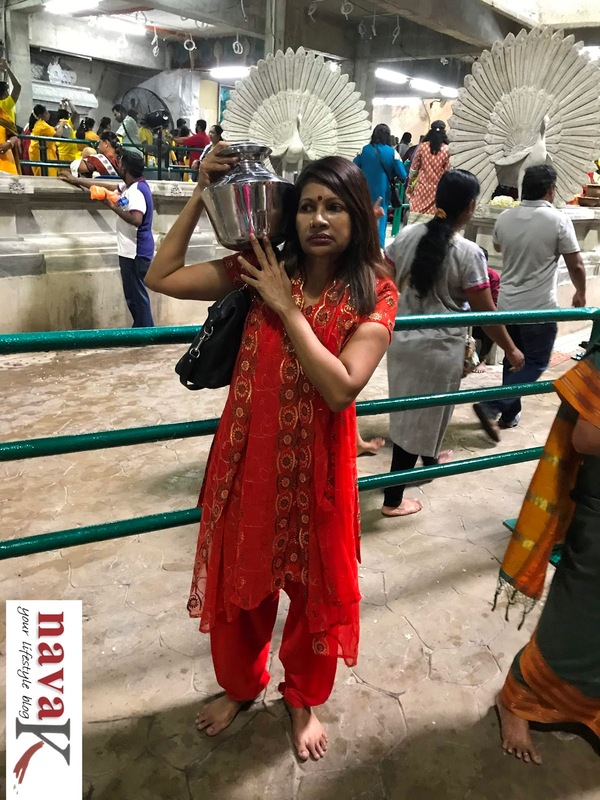 The question is still whether we want to reach out to him, whether each and every day or only during Thaipusam? The choice is naturally yours. I on the other hand was still adamant on fulfilling my vows. 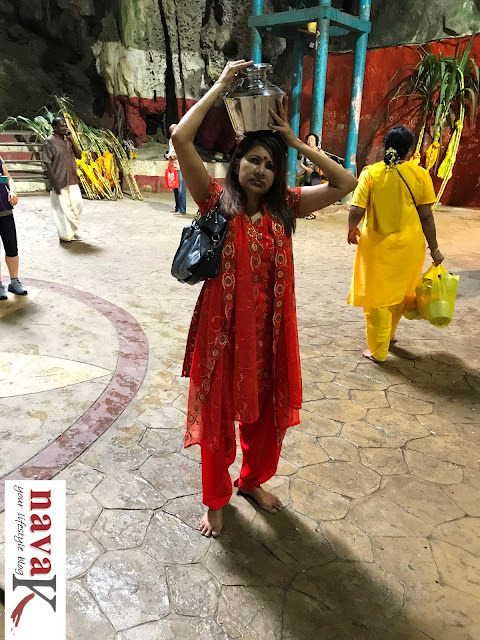 Instead of being pushed and shoved on Thaipusam day itself which by far would have further exhausted me, I decided to fulfil my vows 10 days earlier on this particular Saturday in Batu Caves (Restoran Heong Kee Batu Caves) Mind you, I was not the only one. Hundreds were with me. Batu Caves indeed was already abuzzed. Devotees and Batu Caves by itself is a central attraction in Malaysia. Only a day of fasting, yes, one day only, stop telling I should have fasted for a month. Unless you are going to pay my medical bills if at all my non-ticking biological clock start messing up again. Even with just a day of fasting, I struggled massively in climbing the 272 steps for reaching to the main altar. Seriously, if I didn't pause and stop, most probably my heart would have flown popped far further back to my sick bed in Shah Alam. Praise Lord Murugan and my determination as well, I made it in one piece, before paying for the prayers/archanai chit. This paying for archanai, being propagandized on social media is influencing some of us Hindus. Honestly, if you feel Batu Caves is riding on you, go ahead, cause a ruckus. I on the contrary take is as my contribution for the betterment of the temple. 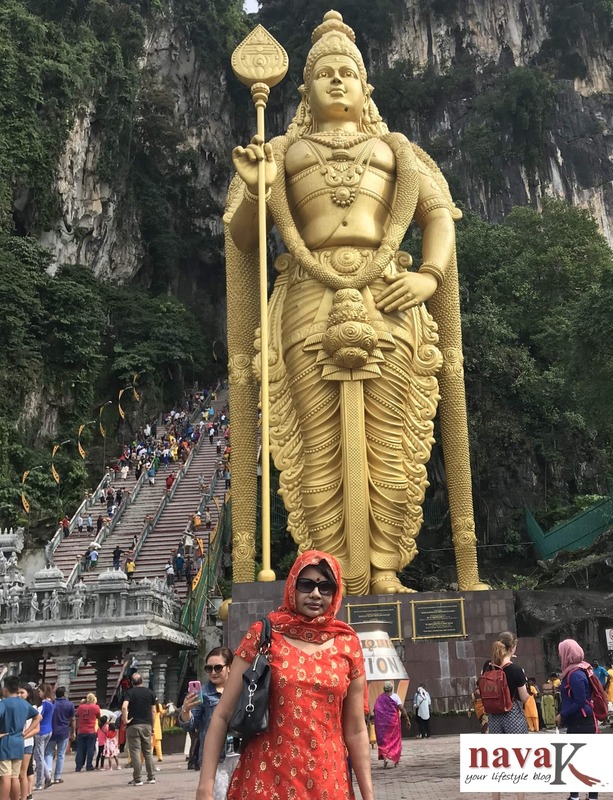 For the priests and for every other cost associated with maintaining Batu Caves and for keeping Lord Murugan standing as tall as he is, right at the entrance. You can, please go ahead and trash your Hinduism. I won't stop you. Case closed. Let's not debate anymore. My vows fulfilled, milk from "Pal Kudam" poured on Lord Murugan, I prayed, I stood around for while, going down somehow is so much easier, prior to leaving Batu Caves by carrying with me my peace of Hinduism mind. Vows utterly fulfilled to the utmost satisfaction of my religious faith and beliefs in my uncomplicated manner. Instead of hooking durians on my body or walking on parang/machete to bleed for Lord Murugan’s blessings. I am not a religious person, so can't really say much about Hinduism. But I love your traditional costumes and you look beautiful in it. i believe God is everywhere and not just in the temples.. Esp in your hour of need, God is with you.. You look great in the traditional dress.